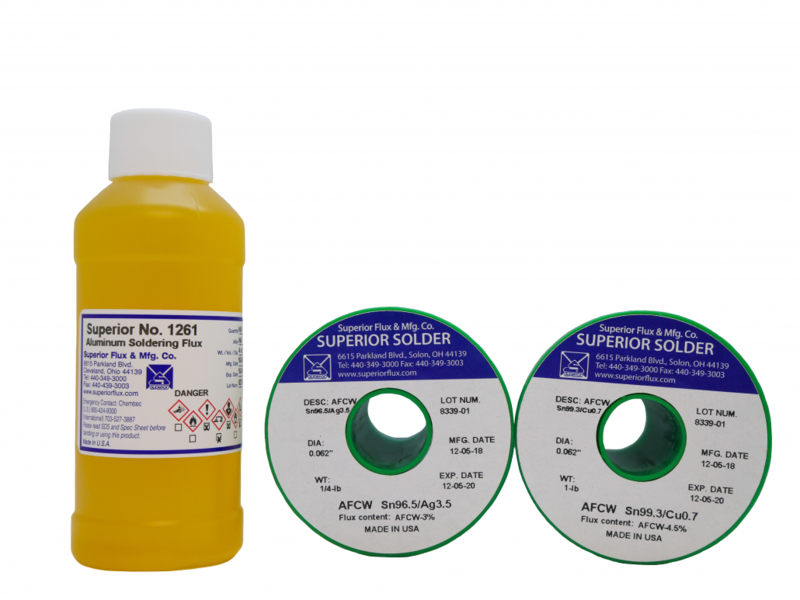 Flux Specifications Created by Superior Flux | Superior Flux & Mfg. Co. 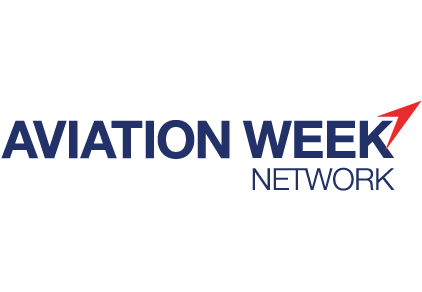 Recently Superior Flux was featured in Aviation Week Network. The article titled ‘Brazing Specialists Turn Up the Heat’ written by Lindsay Bjerregaard, showcased Superior Flux’s ability to create products to meet customer flux specifications. Amongst our many customers are the highly regulated aerospace business, federal agencies and companies under military contract that all require strict product regulations. Our expert chemists work to manufacture fluxes that can meet the specifications required. 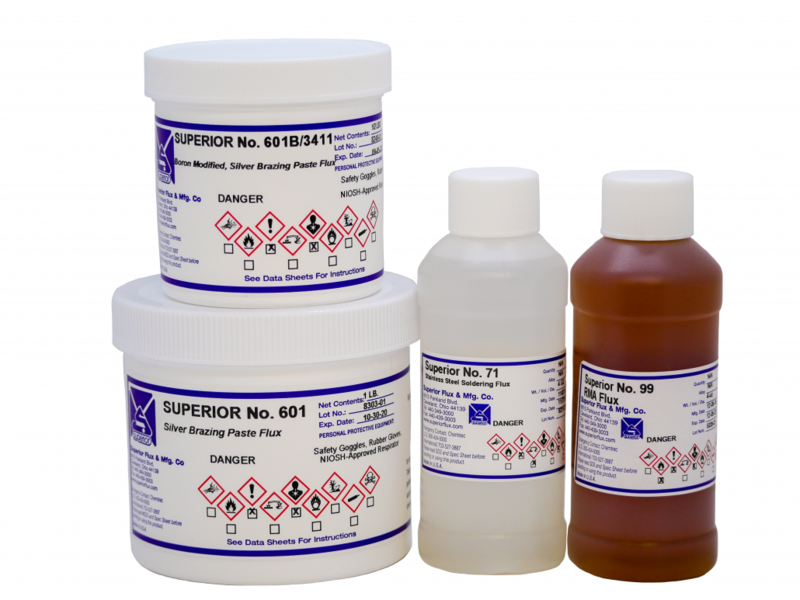 For example important flux specifications are satisfied by the following products: Superior No. 99 (Type RMA Rosin Flux), No. 601B/3411 (Hi-Temp Brazing Flux), TiBF-19 (Titanium Brazing Flux) and many more. Our Rosin Fluxes conform to military specification Mil-F-14256, Types R, RMA and RA. The Superior No. 30 organic flux conforms to multiple specifications, such as US Army Specification No. SM-A571678, Federal Specification QQ-S-571E and O-F-506C, Type 1 and Boeing Aerospace Material Specification BMS No. 7- 57A. Our product line up includes Brazing Fluxes per a variety of crucial specifications, such as AMS 3410, 3411 and 3412, as well as Federal Specs, such as O-F-499. 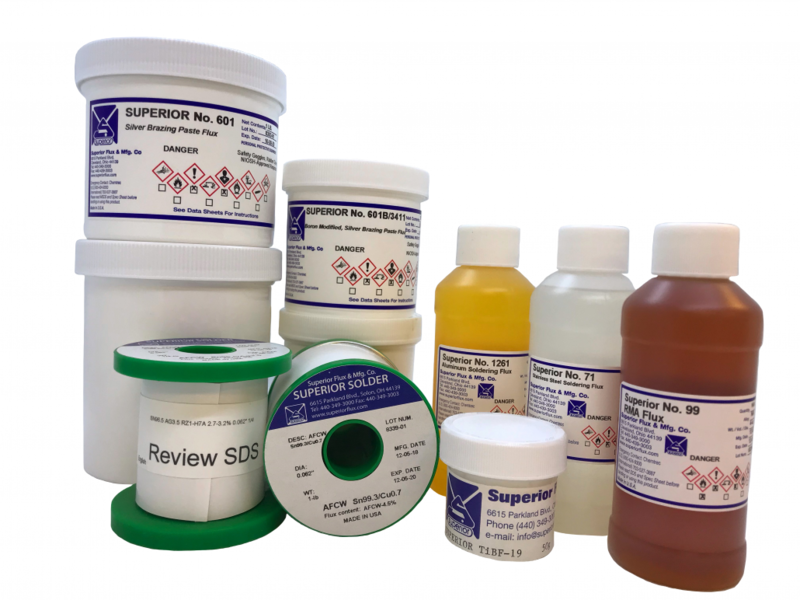 We at Superior Flux pride ourselves for working with customers to create the best products and experience possible. If your company requires any flux specifications please Contact Us and we can determine the best flux for you. To learn more about the fluxes featured in the article ‘Brazing Specialists Turn Up the Heat’ read more below. To find more flux specifications review our finding a flux by specification page to find a table that lists fluxes according to industry or government standards. If you are unable to find a particular specification on this table, it doesn’t mean we don’t have a flux for it – Contact Us and let us know what you’re looking for. In some cases, we list one flux for a specification and we may in reality have more than one flux that meets that specification.